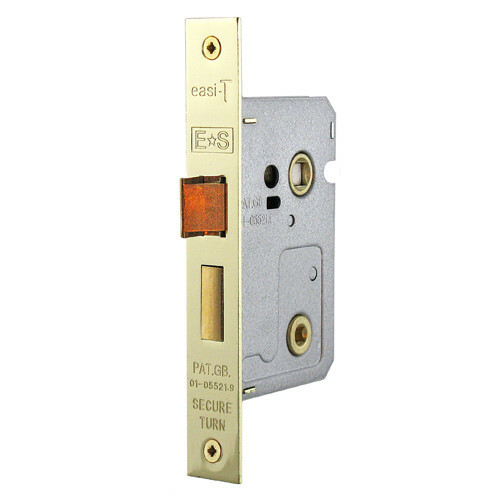 A light duty Mortice Privacy Lock for keyless locking of bathroom or toilet doors and a very popular choice for low cost residential use. 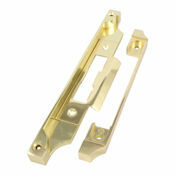 Suitable for self-sprung lever handle furniture on backplate with integral privacy thumbturn, or on rose with seperate turn and release set. 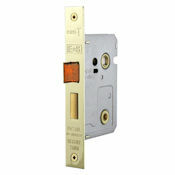 For ease of fixing the latch bolt can be quickly reversed, via the faceplate, for left hand or right hand hung doors. 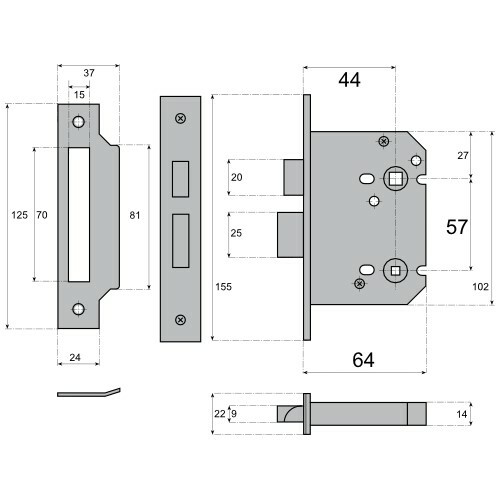 This lock has a light sprung latch follower and should only be used with lever handle furniture with integral springing in the rose or backplate. 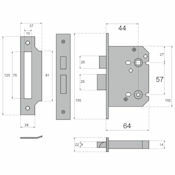 To avoid fixing screws fouling the lock body use handles with horizontally opposed bolt-through fixings or with backplates where fixings positions are adequately spaced. NOT recommended for use with door knobs. One bathroom lock complete with faceplate, frame keeper plate and all fixing screws.